This tour is not suitable for children under 8 years of age. Please note, this tour includes approximately 1 hour of walking time on uneven surfaces and requires a moderate level of fitness. 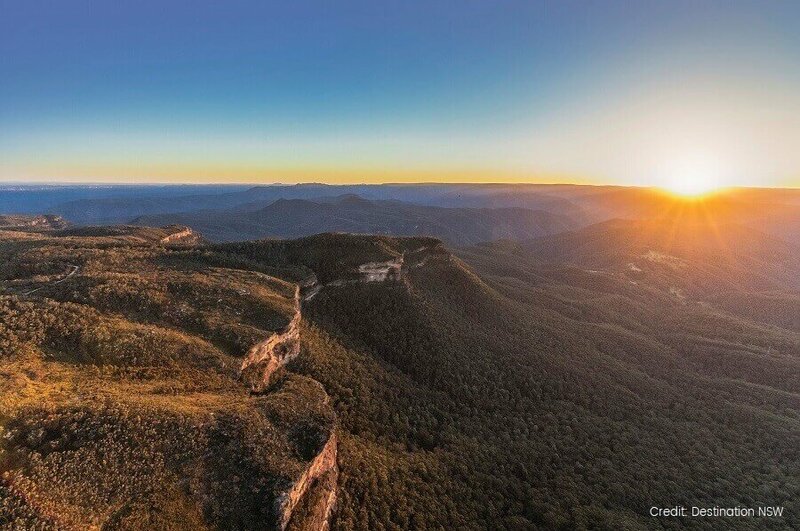 The Blue Mountains boast some of Sydney’s most spectacular scenes. Here, velvet peaks meet ancient valleys, promising a mixture of centuries-old rainforests and incredible natural rock formations. Seeing the region at sunset is one of the most breath-taking ways to experience it, and you’ll avoid the crowds that fill the area during the day. We’ll have spectacular lookouts almost to ourselves once the crowds have gone home, and a better chance to see the native wildlife more active at dusk. 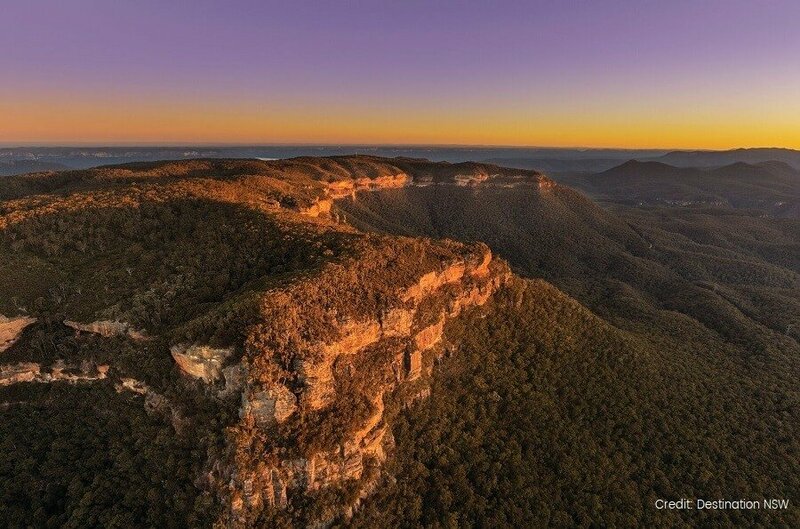 Our Sunset Blue Mountains Tour begins later so you can sleep in or use the time to explore Sydney, before we head straight to the World Heritage Listed National Park. Here, you can marvel at the mountains as they sprawl out across thousands of hectares and encompass lush greenery from top to toe. Sandstone escarpments are peppered throughout, as well as picturesque eucalyptus forests that create the ominous “blue” haze that gives the area its name. Once in the region, we’ll start by taking a bushwalk where you can look out over the Jamison Valley below. We’ll make our way to a jaw-dropping lookout that sits above one of the most impressive waterfalls in the entire country. 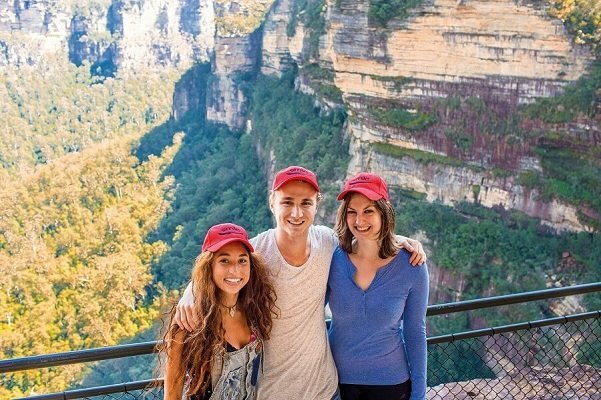 As we go, you’ll learn all about the native flora, fauna, and indigenous people of the Blue Mountains, discovering the creation time of the area and why it is considered to be so special. After the walk, there’ll be time to grab a coffee and a bite to eat before we head to the iconic Three Sisters rock formation. From here, you’ll have the perfect vantage point for watching the sun set over the surrounding landscapes. By now the crowds will have gone home, so you can relax and appreciate the beauty of the region during the golden hour of dusk. Keep an eye out for kangaroos as they venture out from their shady resting places during this time. 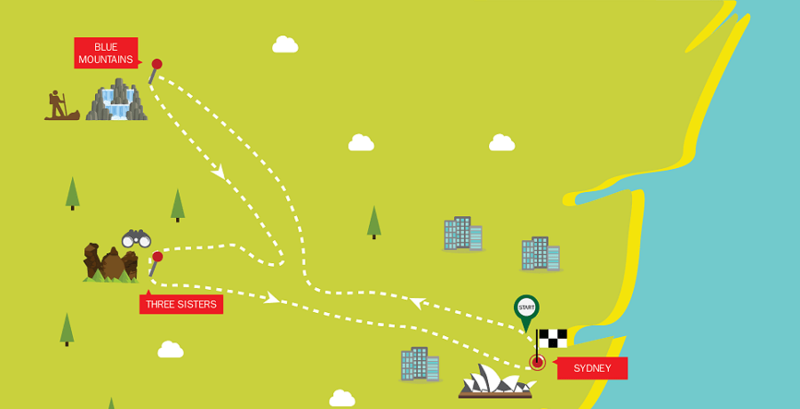 Once the sun has finally dipped below the horizon, we’ll take you back to Sydney. 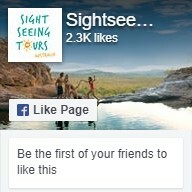 Book your Sunset Blue Mountains Tour with us today!